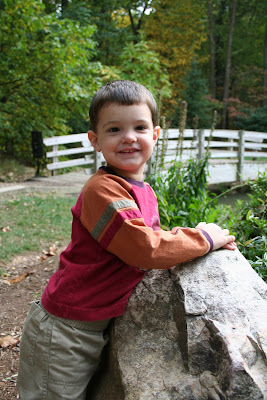 Today Zachary turned 3. I look at him and can't quite remember him being tiny. Ever. Not that he was petite when he was born, mind you - he was a lovely 8 lbs 9 oz. and 2 weeks early (thank goodness!). Rick was able to take most of the day off - which was great so that I could finish Zachary's cake for his party. Since Rick had worship team tonight, we picked up my dad for lunch and had his party at noon. So, while Rick was at the children's museum with the kids, I attempted to make Zachary a dump truck cake. Why you ask? Because I am insane. And sometimes don't think about things all the way through. At least I gave up on making my own frosting - :). I finished the cake, decorated, took pictures, and everyone came home. We were in the middle of lunch and I was taking a picture when I realized that there was no memory card in the camera. 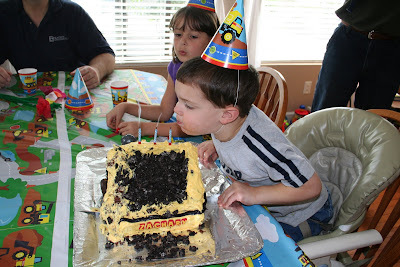 Fortunately I didn't get all the way through his birthday party before realizing it! :) He loved the cake (of course!). 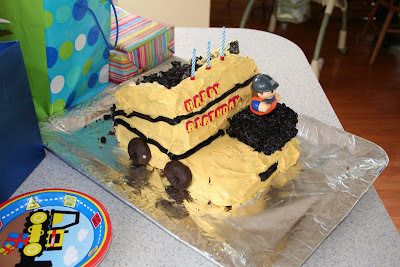 And despite the fact I won't be filling orders for specialty cakes anytime soon, he at least recognized it was a truck! We couldn't sing to him fast enough! 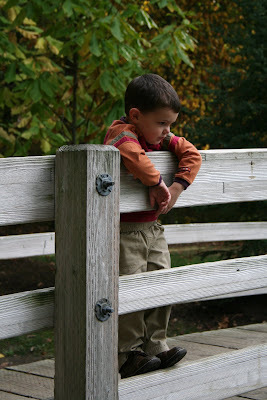 After nap time I took Zachary to the arboretum for some 3-year old pictures. Here are a few of them. Again, thank goodness for digital cameras - I took 93 pictures - and I'm not uploading them all here! We are so incredibly blessed to have his active little body in our home. Yes, times are crazy, but there would definitely be a void in our house without him. Awhile back a friend of ours talked to a MOMS group about "theme" verses for our kids. Verses that you feel are for your children specifically, and praying them over your children. I've prayed about each of our kids and the one that sticks with me for Zachary is from Jeremiah 17:8. 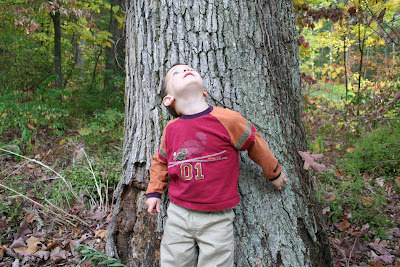 Today while I was taking pictures with Zachary, he was standing underneath a HUGE tree and he wouldn't look at me - he just kept looking up to the high branches, and kept saying "This tree is SO BIG, Mommy!" Jeremiah 17:8 "For he will be like a tree planted by the water, that extends its roots by a stream and will not fear when the heat comes; But its leaves will be green, and it will not be anxious in a year of drought nor cease to yield fruit." That is my hearts prayer for our son. That despite the circumstances in his life, whatever situation he is in the midst of - that he will not be anxious, and instead be trusting and know that God is with him and he would draw his sustenance from the living water. :) I pray his roots will run DEEP in the Lord and he would flourish!! !